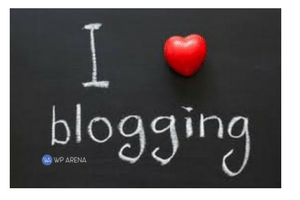 There are some who are not sure what blogs are or those who don’t really understand the usefulness of blogging to promote an online business and using a blog to help brand yourself online. Blogs are like bulletin boards on the Internet that are updated on a regular basis, often on a daily basis. The content of a blog is usually about a specific topic (know as a niche), or in some types of blogs, people sometimes use them as a journal or diaries where they put in the details about their personal lives, their opinions about certain topics and even social commentaries. To put this in simple terms, blogs are used by the person who created the blog anyway he or she wants them to be. The creator of the blog is the author and it’s his or hers to do whatever they want and to provide the content. 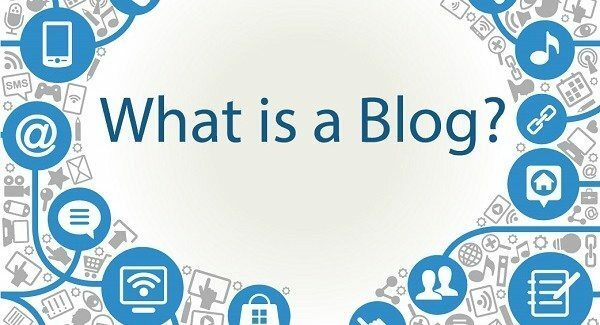 It is really easy to create and start a blog, all you need is a computer and an internet connection. You can sign up for a free blog at several different websites, like WordPress.com or Blogger.com. If you are going to get serious about blogging then you may want to spend a little money and host your blog on your own domain. To create a successful blog, you first have to pick a topic that you are interested or knowledgeable in then start writing about it. Although your opinion about a certain topic is acceptable, it is wise that you should stick to facts as much as possible. You can also mix in some humor if you want it to be more fun to read and include your personal experiences about the topic. This would make the readers think that you actually experienced what is being discussed. For example; if your topic is about tennis, people who’ll be reading your blog would be interested in tennis, therefore you shouldn’t write about what you watched on TV last night, include some tips that may interest readers, like how to improve your forehand or backhand and even how to prolong their tennis career life. Stick to the topic, although you can also include some humor you experienced in the tennis court. Everyone did something stupid or embarrassing in a tennis court, its good to share them with people; it creates a more personal view of your blog and may seem friendly to the reader. If you’re going to include humor or opinions in your blog post, it is important that you balance it with factual information. Talking about your personal experience, whether good or bad, can affect your reputation on the web. Include some updated news about whatever product or service you’re discussing. It is good that you base your opinions on facts and include some advantages and disadvantages and remember to balance it. Remember that no one will read the old news; always keep your blog updated. Present it with the factual news that is accurate and informative. If you write about something that happened a few months ago, it will not grab the reader’s interest. Writing about someone who won the Wimbledon Tournament that happened a few months ago will make people think that you are not updating your blog regularly and may not come back. Plan a schedule on when to post on your blog and try to stick to it. Two or three posts a week would be good enough to keep your readers loyal. Also, tell your readers when you will next update your blog and if possible what the next post will be about. Remember that communication is the key to success to attract readers to your blog. No communication, no readers. Use your social media accounts to help spread the word and gain idea’s for new topics from your followers. Keep your blog simple to understand. Try not to put in too many technical terms that some readers may not understand or care to read. Put it in simple terms as much as possible depending on the topic of the blog. Remember that many people are interested about a certain topic but do not actually know the technical terms. If you need to use technical terms, like I do at times here, try to explain them or give a link to an explanation. Your title should be short and to the point, worded similarly to what a reader may be searching for on a search engine. Something that can easily catch a reader’s attention. The title of each post is very important. Use a title with the keyword of the topic in it. If you have written an article before, you probably know that it is important to spell check and proof-read what you wrote. Remember that what you write reflects your reputation. The Jetpack plugin offers a free proofreading module that does the trick. We use this on our blogs. These are some of the things to consider if you’re planning to blog. By following these few simple guides, you can be sure you’ll get a lot of readers and keep them reading.